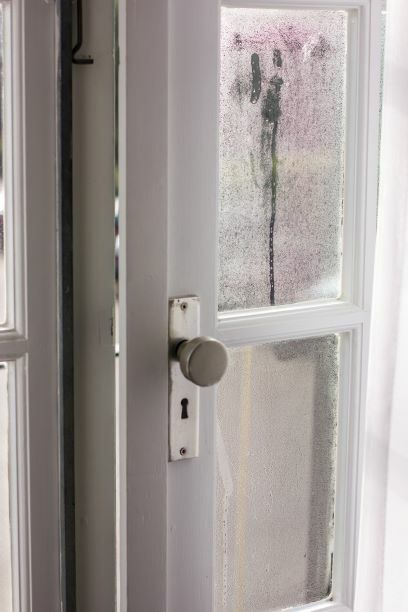 Do you have condensation issues on your bedroom windows? Are you battling mould caused by a build-up of moisture in your bathroom or laundry? Is there a lingering musty smell caused by excess moisture under the floor? Installing an exhaust fan is the most effective way to prevent the build-up of moisture and condensation in your home. Why do I have condensation and mould issues? The simple answer is that there is too much moisture in the air. High levels of humidity can cause condensation to develop, and can result in the growth of mould in the affected areas. South or west-facing houses/apartments are especially susceptible to mould growth, as they do not get the morning sun which means they take longer to warm up and clear condensation. Ongoing mustiness, condensation and moisture damage can create the perfect conditions for mould to grow. Mould spores pose a significant health risk, as well as damage to your home, so should be dealt with as soon as possible. The presence of mould in your home can cause a whole range of symptoms, including sneezing, coughing and rashes. It can also exacerbate existing asthma and allergies. Along with extracting smelly odours, exhaust fans are designed to get rid of humid air from rooms. Removing humid air from a room before it condensates can help to prevent moisture issues and the growth of mould. If you don’t have any exhaust fans or your existing exhaust fans are inadequately sized, consider installing a fan or upgrading your existing exhaust fan system to improve the ventilation of the affected areas. There are a wide range of exhaust fan options available to suit every situation. Run-on timers are another great option to ensure that moisture-reducing habits are easy to maintain! When you turn off the exhaust fan at the switch, the run-on timer operates to make the exhaust fan stay on for a period of time. This allows the exhaust fan to do its job of ventilating the room properly, without you having to remember to turn it off later. Another option to instil good moisture-reducing habits is to wire the exhaust fan so that it comes on automatically with the light switch. This is particularly useful in rental properties where you may need to go to extra measures to ensure that the exhaust fan is being used. If your moisture issues stem from insufficient ventilation of your sub-floor (under your house), sub-floor ventilation fans are an effective solution to remove this excess moisture. Kenner Electrics can even install timers so that the sub-floor fan operates during the day and not at night when the fan noise may disrupt sleep. Kenner Electrics designs and installs ventilation systems to help avoid mould and moisture issues. Whatever the problem, we provide customised solutions and design the best exhaust system for your home. Are Your Smoke Alarms Still Keeping Your Family Safe?